In 2005, the U.S. 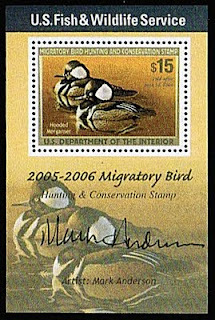 Fish and Wildlife Service issued the first Duck Stamp Mini-sheet (Scott #RW72b). 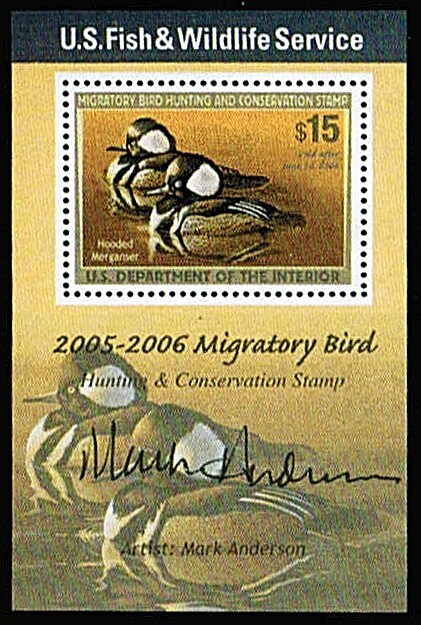 The sheet was issued with little fanfare, and most Duck Stamp collectors did not even realize that it even existed until it had sold out. 1,000 mini-sheets were issued and signed by the artist, and Scott '12 prices the unused sheet at $2,000.00. This is, by far, the scarcest Duck stamp item ever issued by the Federal Government, and will probably remain a key for some time to come. The Duck Stamp collecting community is interesting because it represents an atypical crossover market which includes collectors of general U.S. stamps, U.S. Revenues, Duck hunting collectibles and Wildlife art. 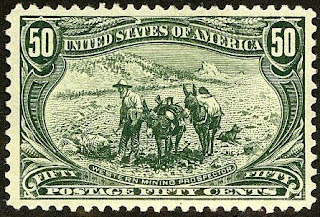 Because revenues from the sales of the stamps are used to purchase and protect wildlife habitats, it may be considered a "green" collectible, and Duck stamp collecting is actively promoted by the Department of the Interior's Fish and Wildlife Service. I estimate that currently there are between 8,000 to 10,000 "serious" Duck stamp collectors in the U.S., and many others who buy them to them to fill spaces in their general U.S. albums. Coincidentally, the Scott value of the sheet and the price of an ounce of gold are about the same. However, over time, humans have produced about 10 billion ounces of gold, enough to fill a cube 82 feet on each side, while there are only 1,000 of RW72b, enough to comprise a small stack the thickness of a few decks of cards. And, of course, there is plenty more gold to be found, especially if there are advances in mining and refining technology. One might well ask: which investment will glitter more, over the long-term? 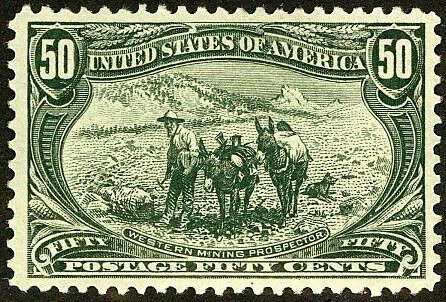 I wish to thank Bob Dumaine, President of Sam Houston Philatelics, for providing much of the information used in this article. Labels: Duck Stamps, Gold, Precious Metals, U.S.